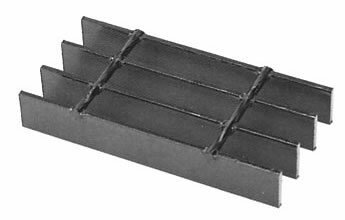 This type of bar grating is one of the most versatile products available for industrial flooring. It is available in welded, press-locked and swaged and in several bearing bar sizes. This product is applicable for many light duty applications including pedestrian traffic and light, tired, rolling traffic such as carts, dollies and hand trucks and is virtually maintenance free due to it’s open grid design. Most common bearing bar and cross rod spacing is 19-4 (1-3/16” and 4”, respectively). Close-Mesh sizes are available ranging from 7/16” to 13/16”. 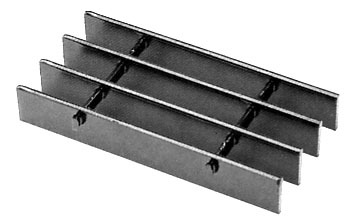 Bar Grating having a 1/2” maximum opening conforms with the Americans With Disabilities Act Guidelines (ADA) when installed with the elongated opening perpendicular to the dominant direction of travel. 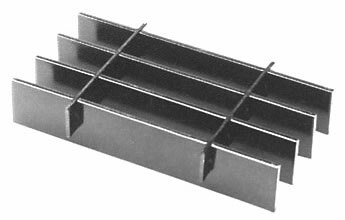 Brown-Campbell offers 11/16” and 5/8” in 3/16” width and 1/2” and 7/16” in 1/8” and 3/16” widths light duty bar grating to meet your specific ADA needs. Please see Constructions for more information on the different aspects of Welded, Press-Locked and Swaged.